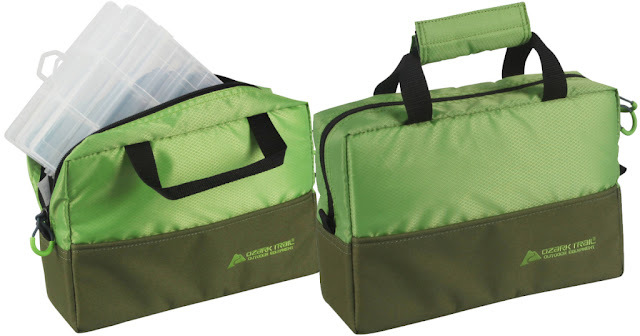 Head on over to Walmart.com where you can score this Ozark Trail Fishing Tote With Trays for only $3.65 (regularly $14.10). This tote has two utility boxes right inside for all your lures and other fishing necessities. It's made with a durable polyester and rip stop polyester fabric, and includes a padded carry handle with hook and loop closure.